Smart fireplace trend – What model should you choose for your home? The smart fireplace trend is making waves with the new ranges of ventless fireplaces. But what model should you choose for your home? Fire professionals are turning to new, less restrictive products that meet the needs of the modern consumer. The trend towards bio ethanol burners and fireplaces, water vapor fireplaces and 3D effect fireplaces is a true groundswell in the world of fire. Bio ethanol burner and fireplace trend, what model should you choose for your home? Ventless fireplaces have, over the years, become a major trend. Indeed, how can a fire space be installed in modern homes lacking a flue system? The market has thus resolutely turned towards ventless fireplace models. Bio ethanol fireplaces became the trendy model in the early 2000s. Initially lacking safety measures, they are now equipped with automatic sensors and modern control methods (remote control, remote button, smartphone, home automation system contacts, etc.) Needless to say, manual fireplaces sold at low prices by discounters are unfortunately very dangerous. For designers and interior architects looking to create custom fire spaces, bio ethanol burners remain the most efficient solution. 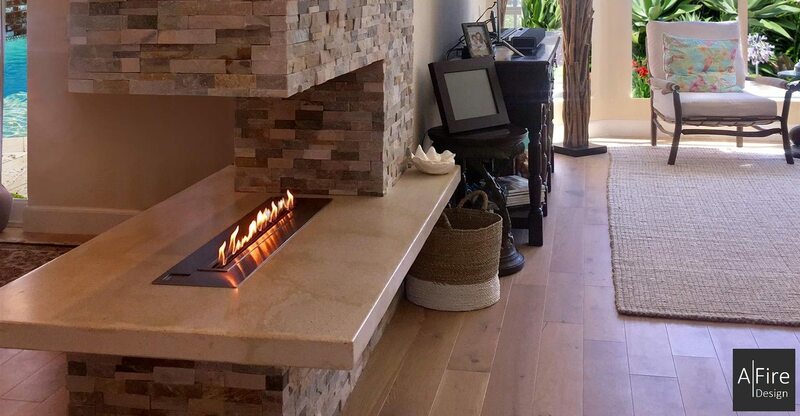 Creating a fireplace with a smart bio ethanol burner insert provides the advantage of a customized design. Smart fireplace trend became a reality. In terms of flames, the water vapor fireplace trend is a real success. It is very difficult to distinguish a traditional flame from a water vapor flame. Both are real flames, one of which is hot, and the other cold! Smart water vapor fireplaces look to become the fireplace of the future, a fully urban and danger-free fire. Technical info & prices for your delivered model... Answers within 24h!